It came to her in a dream. Margaret Wise Brown awoke and captured it in a form near to the one we cherish today. She called her editor, who immediately approved of her genius. Goodnight Moon was born. It is surprising to me that more mothers-to-be don’t paint their nurseries bright green, install red carpet, and hang a painting of three bears. It sounds bold, but knowing and loving the book, what could be more peaceful? Even I didn’t dare create a Goodnight Moon room for my baby boys. However, I have decided to be brave enough to wear the book cover! Out of Print makes children’s book t-shirts. I stumbled upon them on modcloth.com, a fun site that sells Donna Reed style dresses and, apparently, children’s book attire! If the price of the tee seems as if you could be purchasing a shirt as well as a picture book, you are! Out of Print donates a children’s book to a struggling community in Africa with every purchase. Would you wear Goodnight Moon? Or, would you prefer to don Where the Wild Things Are? They even make shirts from “grown-up” novels like Pride and Prejudice. 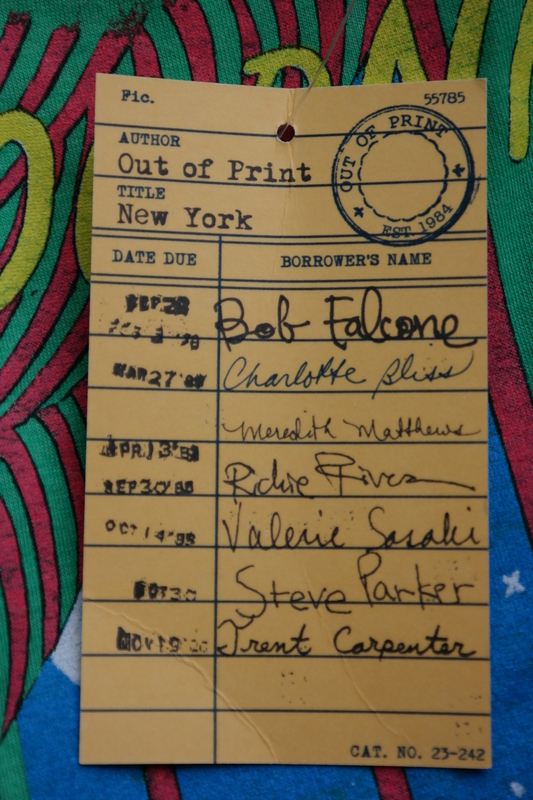 Even the tag is full of library charm! I just couldn’t resist sharing this whimsical find with all of you who share my passion for children’s literature. I can’t wait to find out what literary conversations with strangers this shirt will inspire! 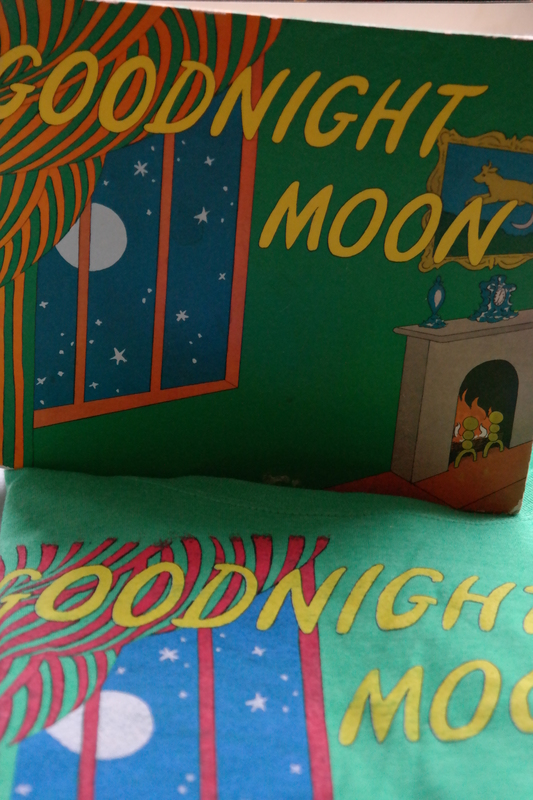 This entry was posted in Children's Book Moments, Helping God's Children, Treasured Books and tagged Goodnight Moon by Margaret Wise Brown, Goodnight Moon shirt. Bookmark the permalink.